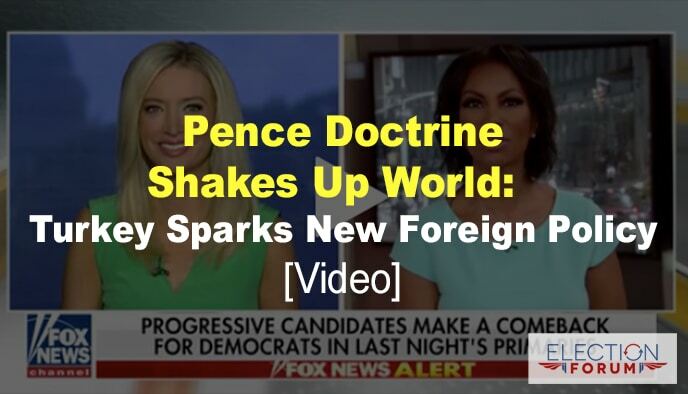 That’s what the new “Pence Doctrine” says … and it could change the world for the better. But the biased media … the State Department “Deep State” … and foreign governments hate it … and are at war against the new policy. When I was at the U.S. State Department with 350 participants from 80 countries, an Evangelical Presbyterian pastor from North Carolina – Andrew Brunson – was one of the hottest topics of discussion. Because Vice President Mike Pence – and others – called Turkey on the carpet for falsely imprisoning this pastor and violating his religious freedom. Both the Deep State within the U.S. government – and governments around the world – are beginning to understand that protecting and defending religious liberty is a top priority with President Trump and Vice President Pence. Pence said just weeks ago that economic sanctions against Turkey would begin if President Erdogan refused to respect religious liberty and free Pastor Brunson. Brunson, who has dedicated the past 25 years of his life to ministering in Turkey – both as a pastor and as a humanitarian – has been incarcerated since October 2016 on unsubstantiated and false terrorism and espionage charges. And those who are prosecuting him want him sentenced to 35 years behind bars. They want the U.S. to extradite Islamic cleric Fethullah Gulen – whom Turkey blames for the failed coup attempt against the Erdogan government in 2016 – in exchange for Pastor Brunson’s freedom. The Turkish currency immediately fell by 14% against the U.S. dollar. They doubled down … a Turkish court recently rejected Brunson’s appeal to have his house arrest and travel ban lifted. Please pray that the higher court will do the right thing … reverse the decision of the lower court … and free Pastor Brunson so he can return to the U.S. The consequences of Turkey’s unbridled religious oppression will severely impact the entire country … it’s already having a nationwide impact. Because Erdogan wants to be perceived as the head of the Muslim world, power plays from Western countries, or Christians will only make him resist more. He will resist anything Christian or of Western thought. to save face with muslims He must be talked to from the Koran i.e. Suras that mention kindness, fairness etc. if there are any.